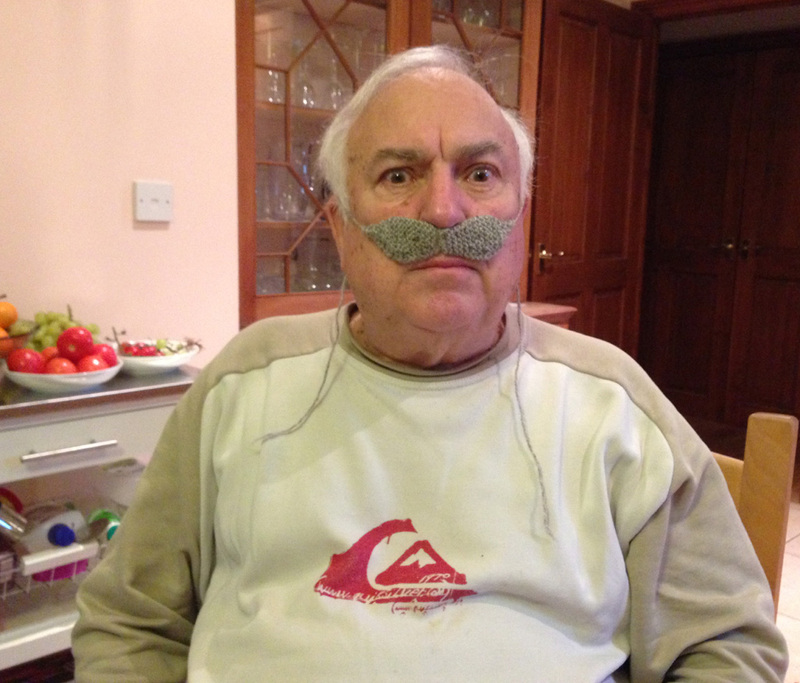 This is my Pops who is a fantastic dual supporter of both WOVEMBER and Movember. 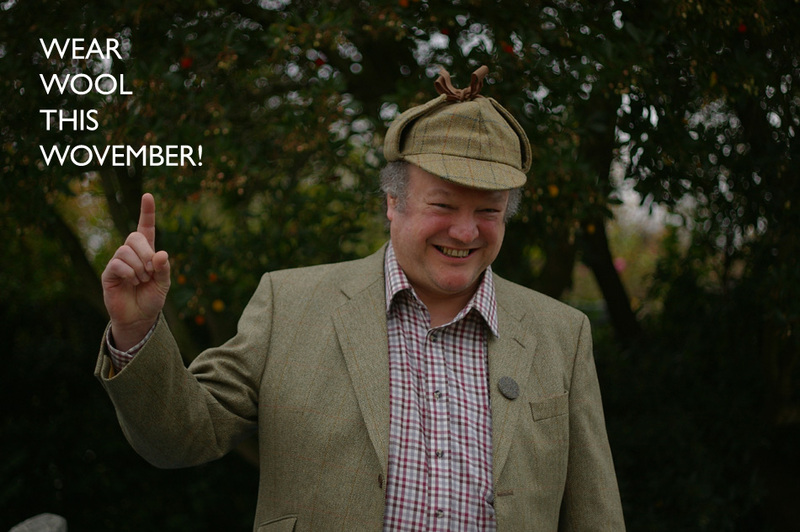 For those of you not in the know, Movember is a fantastic annual campaign which – like WOVEMBER – runs throughout the month of November. Movember is a registered charity which has been set up to organise events in which men grow moustaches throughout November, and (through sponsorship) raise funds which go towards improving men’s health. We think Movember is absolutely excellent, and are delighted to share a month with this amazing, global campaign for the betterment of male health. 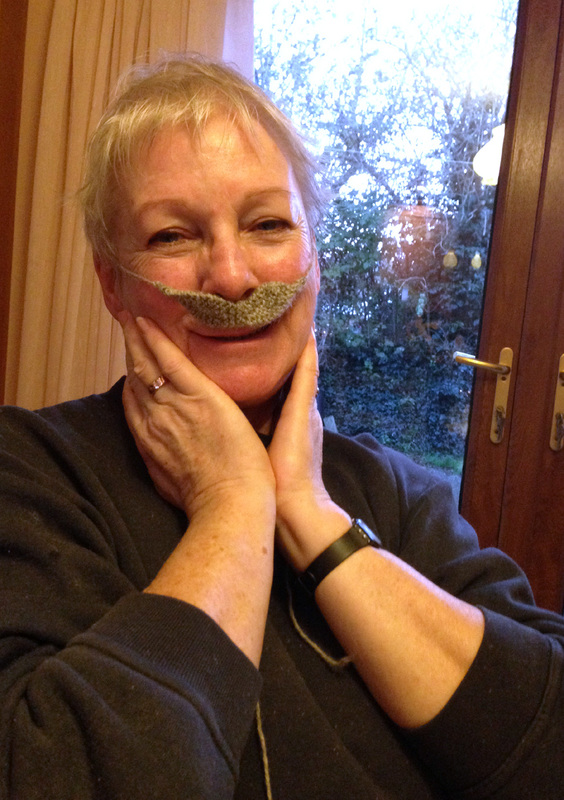 Each November, my Pops grows a moustache and accessorizes with tweed! If you find yourself in a similar situation in which Movember and WOVEMBER run simultaneously for you and your loved-ones, then you might enjoy this fantastic pattern for knitting your own ‘tache combining a love of WOOL with a love of moustaches. Use Gotland DK and 3.25mm needles. Worked in two halves from the centre. Cast on 4-5 sts for smaller version, 6-7 for larger, work in garter stitch throughout. Work around 4-5 rows then increase 1 st within rows around 2 sts in from the end of the row in successive alternate rows to around 10-12 sts and then decrease again similarly, and continue decreasing to a point. Leave a long end for fastening behind ears! Pick up from the cast on row (no need for a provisional cast-on as the indentation looks more real!) and work the other half in the opposite direction. I did the increases by knitting twice into sts and the decreases by k2tog. So there you go, if you want to be super-organised for both Movember and WOVEMBER in 2014, all you need to do is knit yourself a 100% WOOL moustache, donate through the Movember website, support all the men you know who are growing face hair in November, and enjoy wearing WOOL during the cold descent into Winter. 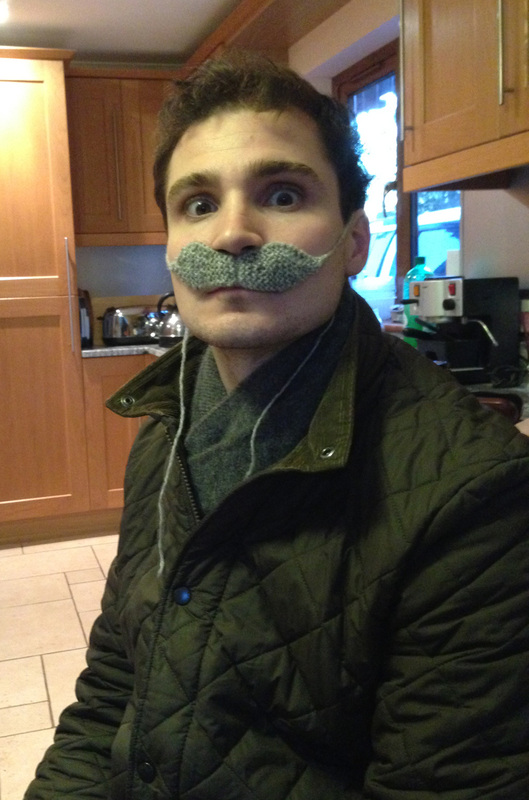 Here are Doug and Sam wearing their woolly moustaches in the Blacker household. Thank you, Sue! To all, best wishes for a woolly and healthful 2014 and see you later in the year.